The Family of Rose Kelley is hosting a Life Celebration at one of her favorite places, Dawes Arboretum on Saturday, April 6 from 12 to 3PM. Come share memories and stories celebrating the life and impact Rose left on all of us. Dawes Arboretum closes at 5 pm, so there will be plenty of time to drive around the driving tour so see the Arboretum that she loved so much. 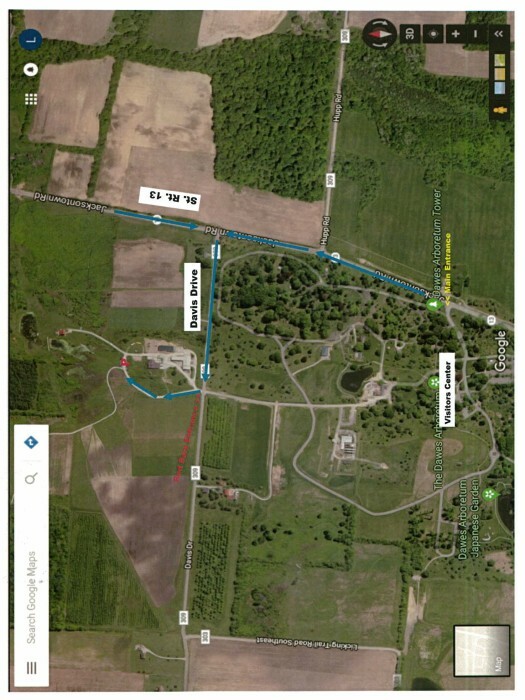 The celebration will be in the Red Barn facility directly to the north of Dawes Arboretum off Davis Drive (see attached map/image). The Barn Facility has no heat so if it turns cold, dress in warm clothes. Rose (Rosalie) Kelley started a new adventure today, Thursday, November 29, 2018. I will miss you because on this adventure I travel alone. I will meet family and friends that have already traveled on this journey. My son Todd, brother Harold, parents Paul and Patricia and nephew Paul. To my beloved family left on this world, do not grieve but celebrate life. Surviving are sons: Craig (Lisa) Kelley, Steve Kelley, Adam (Dawn) Kelley; godson Seth (Jenny) Hall; treasured friend: Deb Hall; grandchildren: Connor, Maegan, Emma, Evan and Aria; brothers: Jonathan Miller and Roy (Rose Mary) Miller; sisters: Jeanne (Frank) Kampel and Mary (Jack) Smith; and nieces, nephews, aunts, uncles and the extended Hall family. Thanks to all of my friends and colleagues that supported me during my life and career in nursing. You all were a blessing. Sorry I won’t be able to share a story about this adventure but you can imagine. Farewell to all, we will meet again. Love Rose. In lieu of flowers, memorial contributions may be made to Genesis Hospice Morrison House, 713 Forest Ave., Zanesville, OH 43701 or follow your heart and make a donation to a children’s charity of your choice. Calling hours will not be observed and a cremation has taken place. A memory celebration may be held at a future date. THE SNOUFFER FUNERAL HOME 1150 WEST MILITARY ROAD ZANESVILLE has the distinct honor of serving the family.